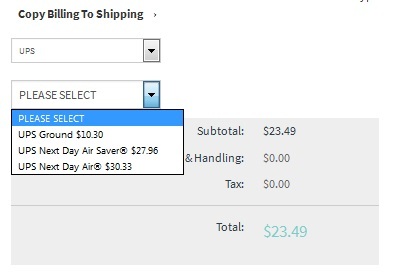 With the way that the shipping selection is set up most people seem to assume that we only ship UPS and the USPS options do not exist. 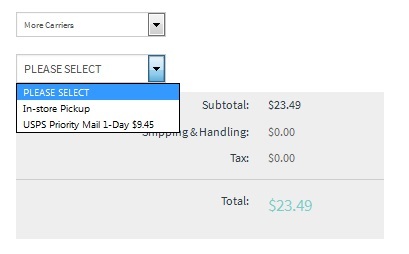 Unfortunately with the way Volusion displays the shipping options click for more carriers options is an option for shipping options. This is where the USPS options live. You can see this in the examples bellow.